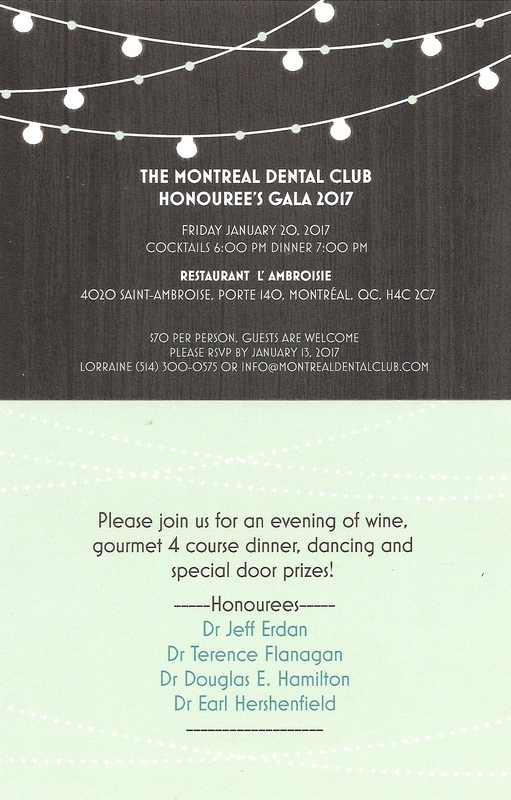 The Montreal Dental Club organizes this annual social event to thank its members and to provide an opportunity for networking in a relaxed setting with family & friends. Please join us for an evening of wine, gourmet 4 course dinner, dancing and special door prizes! 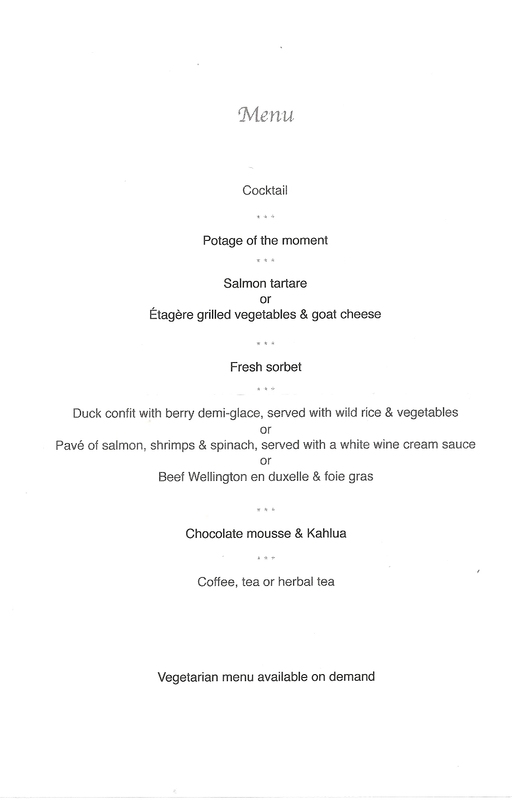 $70 per Person. Guests are welcome.